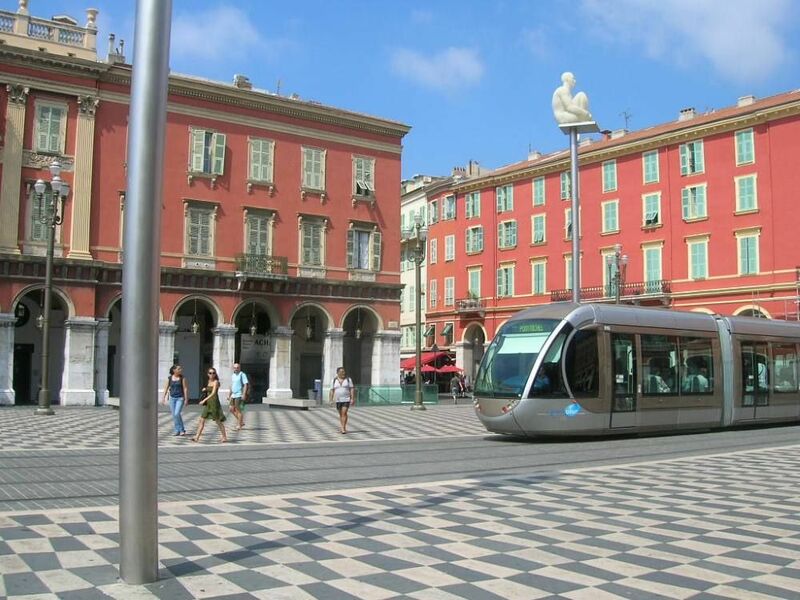 In the heart of Nice, Place Massena. All shops, restaurants and animations on foot. Very friendly owners who where there to welcome us and show us the ropes of the unit. Great location and apartment. Enjoyed our stay very much. Would recommend this unit to others. We had a super week in our favourite city. The apartment was superb, exactly what we wanted in a wonderful location. Easy access with the lifts and has everything we needed for cooking some of the great market produce available. The owners were very considerate and welcoming. We would recommend this apartment to all our friends without hesitation. We certainly hope to return. Thank you very much. Beautiful and clean apartment. Convenient location. Polite and attentive host. I recommend everyone this apartment. Thank you, all was fine in my view, I liked the apartment and location very much. I will certainly advise my friends should they decide to go to Nice to stay in your apartment, as it is really very good. Thank you much once again and wish you a lot of tourists! "A wonderful apartment with convenient location and beautiful view from the window. Ñlose to the beautiful streets of the old city. 2-3 minute walk to the sea and the promenade Des Angles.Around a lot of different cafes, restaurants, shops. Public transport very close, so you can easily get to any place. (We looked at probably all of Nice, on the train went to Cannes and Monaco). The apartment is very cozy, clean and spacious, stylish, well equiped. Big, clean bathroom. Cozy sleeping area :-). Special thanks to the owner of apartment polite, attentive and pleasant to talk to. Enjoyed the ease and comfort to deal with him :-)"
"The apartment was clean, well equipped and very centra. We appreciated the information left about Nice and the fresh flowers were a lovely welcome. We had a wonderful holiday in Nice."